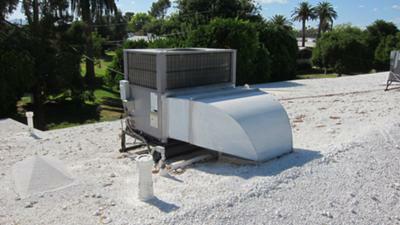 Our Carrier model 48ES 3 ton rooftop ac unit with gas heating. Installed in 2008, ran in 2008, 2009 and 2010 summers...at the end of the 2010 summer would not cool. Service-tech found a leak in the evaporator and the unit lost 3 of the 9 pounds of R-410A, (Puron). It is a 13SEER unit. Now the service-tech says carrier will only furnish a new evaporator coil and the labor to install it is $750. A "brand new" unit and the evaporator coil leaks in the first years of this ac units life...unbelievable to me. I'm a retired air conditioning man, I've worked on A.C. units all my life and I have never ever had an experience like this. I think Carrier should pay to replace the coil or furnish a new unit. Actually I don't want a new unit, I want them to take this one back and give back the money and I would choose another manufacturer.